For the suppression of descending inhibitory pathways in animals, single-dose lidocaine blockade is reversible and causes less damage than chronic spinal cord injury, decerebration, and cold blockade of the spinal cord. However, single-dose blockade has a variable onset and is relatively short-lived. To surmount these disadvantages, we devised a continuous thoracic intrathecal lidocaine infusion and evaluated its effects in rats. Rats were administered continuous intrathecal infusions of 0, 0.25%, 0.5%, and 1% lidocaine at 10 &gml·h−1 following a 10-&gml bolus. The effects of the continuous thoracic blockade on tail-flick (TF) latency (estimated by the percent maximum possible effect [%MPE]) and on the release of neurotransmitters in the cerebrospinal fluid (CSF) were evaluated. Continuous thoracic blockade with 0.5% and 1% lidocaine infusion reversibly shortened TF latency (%MPE, −22.0 ± 11.0 % and −21.2 ± 4.6 %, respectively, versus baseline; P < 0.05) during drug infusion. Compared with normal saline, thoracic intrathecal infusion of lidocaine significantly lowered norepinephrine and serotonin concentrations in the CSF at 1 h of infusion (P = 0.02 for both). 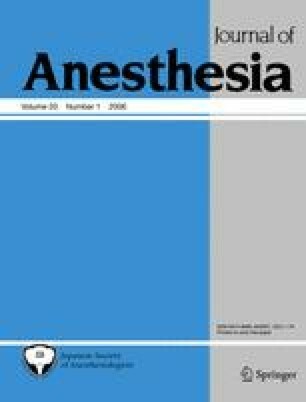 Continuous thoracic blockade by local anesthetic resulted in reversible suppression of descending inhibitory pathways for varying durations. Such blockade may provide further information regarding nociceptive transmission and the mechanisms of antinociception in animals.